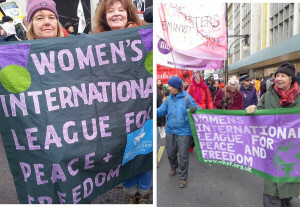 On United Nations Peace Day, Wednesday 21 September 2016, the Women’s International League for Peace and Freedom (WILPF) is launching a new branch in London. Come and find out what has sustained women to work cooperatively and internationally for peace for one hundred years. Share our enthusiasm for our achievements over the years, and join us to see what progress we can make together to make the world a better place.